WHERE WoULD yoUR business be in today’s global market if you could not support the way consumers wish to pay? over the past 10 years, businesses have evolved from post ofce collection invoices and ‘the cheque is in the mail’ invoice payments to sophisticated online payment solutions involving wire transfers, credit cards, ACH, e-cheques, money transfer serv-ices and digital cash solutions. Gaming operators know that if they want to target a specifc consumer population, they have to ofer regional games in foreign languages and online payment options in the currencies of the players’ jurisdiction. Typically, in the past, it was difcult to secure regional or domestic payment solutions in order to market to expatriate consumer pockets, but the internet has changed the landscape by allowing merchants to connect and service consumers from all over the globe regardless of their operational jurisdiction. Understanding local money transfer regulations (both in and out) in target markets is critical to ensuring you are able to support the payment needs of consumers in those markets. As the internet gaming industry expands into emerg-ing markets, and operators increasingly focus on pay-ment and language options to attract new consum-ers, they need to take a serious look at whether they are providing the right payment options for their traditional markets. Interestingly, immigrant groups within established markets are ofen overlooked. According to a UN population estimate, the US has the largest number of immigrants, at 38.4 million in 2005, accounting for 12.9% of the total population. The US emigrants constituted about 0.8% of the total population. The top ten immigrant sourcing countries for the US at the end of 2005 were Mexico, Philip-pines, Germany, India, China, Vietnam, Canada, Cuba, El Salvador and the UK. The majority of immigrants are from Mexico and other Latin American countries. According to the International Association of Global Money Transfer Networks, the US is also the world’s largest outward payment remittance market. The total amount of outward remittance was US$42.2bn, or 0.3% of the country’s GDP in 2006. This means that the expatriate markets are needing payment and remittance solutions that are convenient, secure and reliable. In recent years, with increased globalisation of economies, opportunities for expats have increased substantially. Companies in developed nations are looking for more skilled workers at lower costs to reduce their employee cost; a need met by the expat workers. The recent credit crisis is laying signifcant pressure on US companies to reduce their costs, there-by leading to increased skilled labour force sourcing. We have seen that even in English-speaking coun-tries, a signifcant percentage of immigrant groups worldwide are searching the internet in their native language, rather than the language of their adopted nation. As well, they would like to be able to spend money online in their local currency, rather than their adopted country base currency. The pressure to remit money home for family maintenance needs remains very strong in second- and third-world countries. Remit2Home) which identifes the need for ‘westernised’ merchants to understand the payment culture of lesser developed nations. Money transfers to India are esti-mated at US$28bn per annum. Another example exists in Panama, where there are established tax treaties with Japan and a signifcant amount of Asian business takes place there. Finding an acquiring solu-tion in Central America that can support yen, Korean won, Malaysian ringgit presentment processing or JCB acquiring may be easier then you realise. 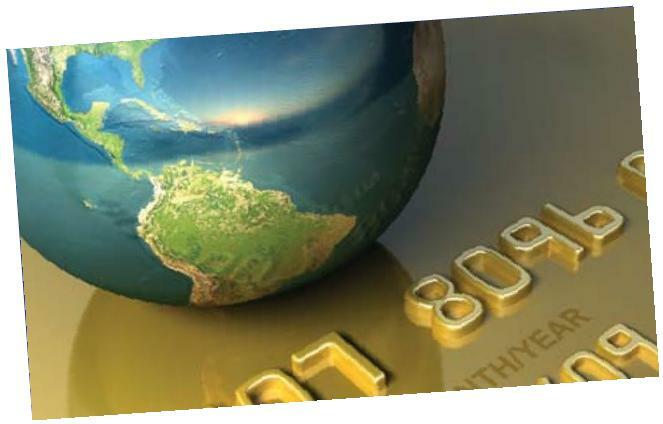 Implementing non-credit card alternative pay-ment services is an important factor for busi-nesses to consider as part of the payment proc-ess and when marketing to expatriate communities in target markets. Alternative payment solutions are not only convenient for consumers but can be more fexible and inexpensive for merchants if you can implement them securely. PayPal, which can be implemented by connecting to First Atlantic Commerce’s international payment gate-way, provides online merchants secure access to over 350 million worldwide PayPal consumer accounts – in local currencies. So if you are targeting Chinese mar-kets, PayPal is the obvious solution with which to start. Similarly for the South American market, implementing PayPal to receive Brazilian Reals transactions is far sim-pler than trying to set up an acquiring solution in Brazil. What about protecting your business from online payment fraud? Implementing regionalised payment solutions and tailoring for specifc consumer markets also creates a breeding ground for fraudsters and money laundering. Banks hammer on about Knowing your Customer (KyC) but what about Knowing your Enemies? Chargebacks and fraud have become especially problematic for online merchants in this credit crisis market as it lends itself to fraud and chargebacks from consumers who are unable to pay their outstanding credit card bills. Consumers that charged transactions to their credit or debit cards three months ago are now charging them back under the ‘zero liability’ issuer programmes (chargeback RC 23 and RC 83) as they can no longer aford to pay their bills due to job losses or investment losses, consistent with the economic climate.